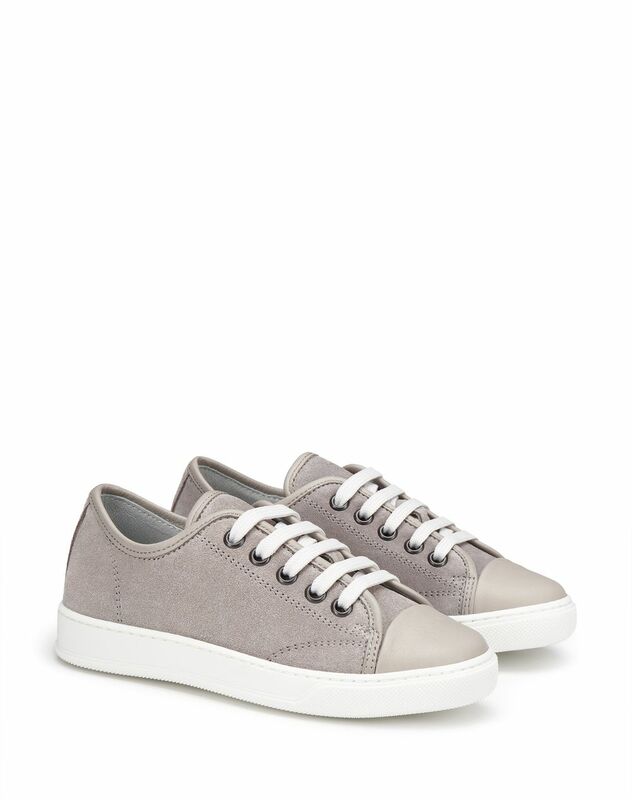 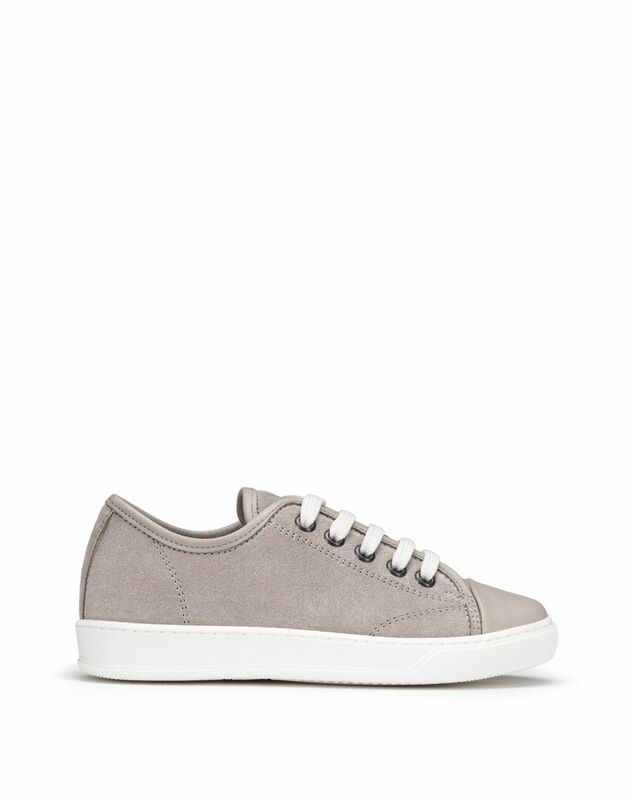 Beige low-top sneaker in calfskin leather, tone-on-tone cap toe, contrasting white cotton laces, metal eyelets, calfskin leather lining, and white rubber sole. 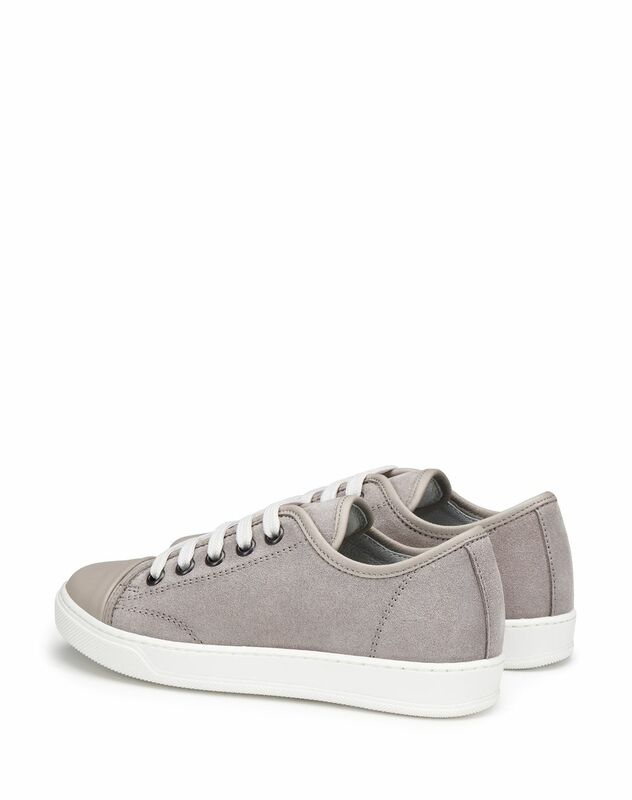 Inspired by the iconic Lanvin men’s DDB1 sneakers, this shoe combines sportswear and luxury details. 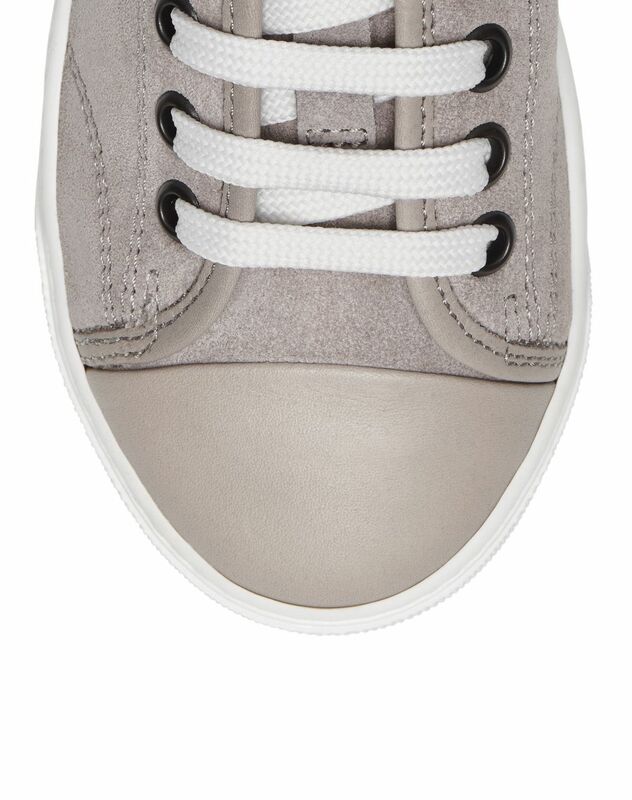 Comfortable and elegant, they are ideal for every day wear.